I’m a little obsessed with my site summaries. I love to see where my readers originate and I’m always interested in the things people search for when they stumble upon my blog. Today’s tiny post will be a sort of “Ask Meeganism” section where I’d like to help resolve some of those queries. This is the Best Way to Peel Red Pepper for Soup. The very best way I know to peel a red pepper for soup is to roast it first. When I’m making Butternut Squash Soup, one of my favorite cold weather recipes, I always roast my red pepper along with the squash, onions, and garlic. The squash gets peeled and cut into cubes and the onion gets quartered (or halved if its small) skin on. But the garlic and red pepper gets roasted whole with just a light drizzle of olive oil, and some salt and pepper. Roasting on 375 degrees for about 40 minutes will do the trick, just be sure to turn it a few times to get all sides charred. If you don’t feel like turning on your oven, just light your gas stove and place it right in the grill on medium-high heat, or use a grill pan for flat-top stoves. Use metal tongs to turn it so that all sides get charred. Another option it to put it right on the grill which might be the most sensible this time of year when everyone is utilizing their grill. 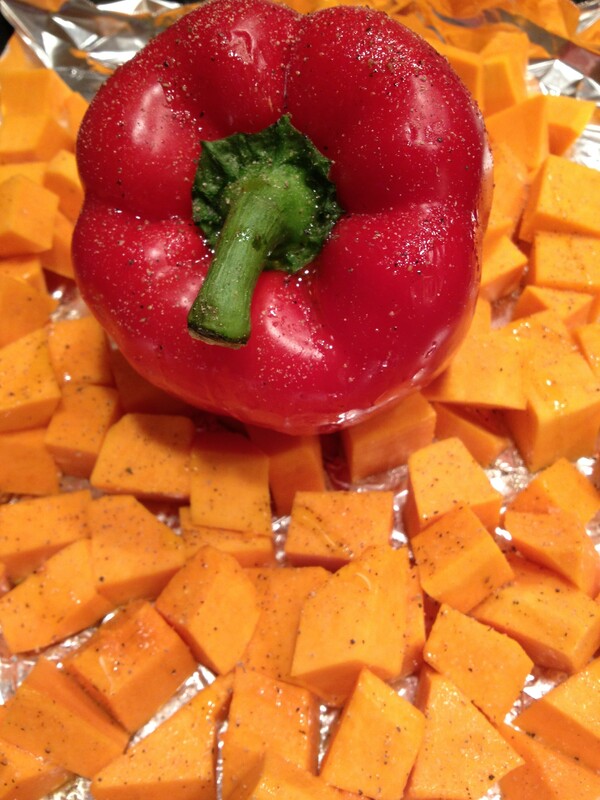 All three are great ways to roast your pepper which means peeling is all that’s left. Most cooks will tell you to put it in a bowl and cover with Saran Wrap or seal in a Ziploc bag until cool enough to peel by hand. I say both ways are great, but if you want to save the hassle of using extra tools just let the roasted pepper sit for a few minutes until its cool enough to peel by hand or, hold the stem and gently scrape the skin off with a butter knife. The chared skin will slide right off exposing the softened, roasted meat of the pepper. If you have charred bits still stuck on the pepper, don’t sweat it! It’ll add a nice smokiness to your dish. I hope this proved useful for anyone still looking for the answer. Happy roasting!